← What’s So Important About Inspiration? I guess, like me, you enjoy a good holiday – time to rest and recharge, time to recover your balance and revitalize for what comes next. 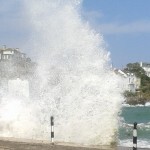 My seaside holiday this year had a dramatic start. 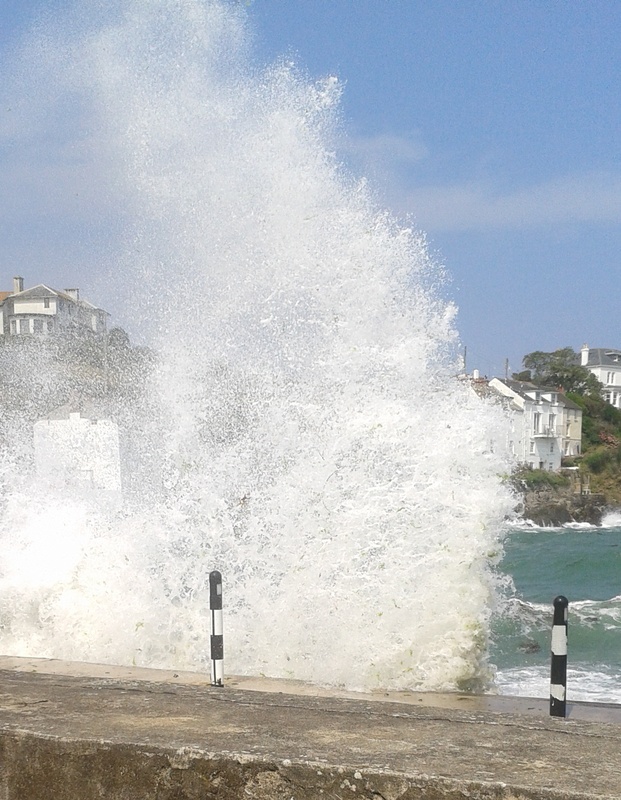 When I arrived, waves were crashing against the sea wall, throwing spray high into the air. The rebound often collided with the next in-coming wave to hurl more spray skywards. The sea surface was broken in confusion, dancing in heaps and hollows, floating with froth. When the heaving water disgorged a particularly big wave, the thump made the whole house shake. Yet by the next tide, the wind had dropped. There was just the lightest of breezes. Little wavelets rippled gently onto the beach, twinkling in the sun. This was when the swimmers appeared and people started to launch boats and canoes. It seems to me that this is what happens to each of us sometimes. We go through ‘thought storms’ when our mind is a confusion of wind and waves. We try to follow one track to make some sense but then it collides with other thoughts and we are thrown off course. Our efforts to make order get nowhere; in fact they add to the wind that is fueling the storm, making it worse. This is the paradox. When things are tough because our mind is stormy, we choose that very time to try and fix things. We try to launch our boat in the worst conditions. But remember that the sea returns to calm when the wind drops. This is your natural resilience – your mind will automatically settle into calm when you are not whipping up the wind by thinking a lot about your thinking. Nature provides an obvious clue – your calm, quiet mind feels really good! This good feeling is the signal you are in touch with your natural resilience. It’s restful and revitalizing; it automatically puts you back into balance; it’s the source of creativity and inspiration for what comes next. Now you know where your natural resilience really comes from, it means that you can enjoy the recharging effects of a holiday wherever you are. I can recognise these thought storms and as with anything the further out you can see them coming then the more you can be prepared for them. If you don’t see them coming and they suddenly arrive the thing I now remind myself is that the worst thing you can do is try and run from them and the best is to sit and head for the centre of the storm and there you can find the moment of calm. I try to attend Quaker meeting as often as I can and really enjoy the silence with many other people, the strength of it can be so profound. Yes Jon, trying to run from the thought storm just generates more thinking. While it may be a bit of a stretch to welcome it, accepting the storm is more likely to let your mind quieten and hence bring a feeling of calm.